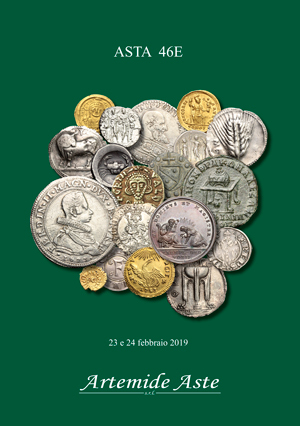 Coins 29 Greek Italy. Northern Apulia, Teate. 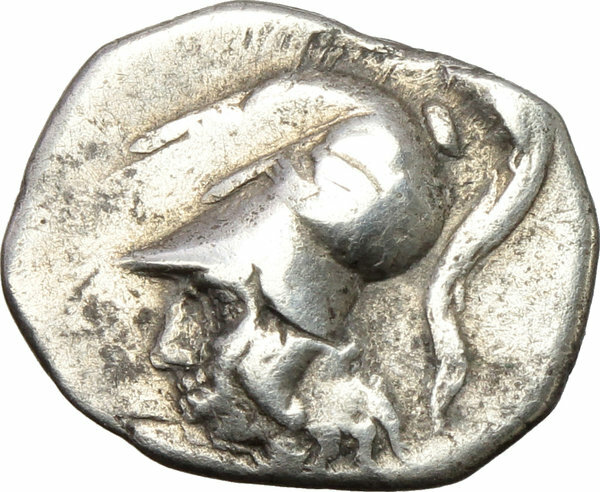 AR Diobol, 325-275 BC. D/ Helmeted head of Athena left. 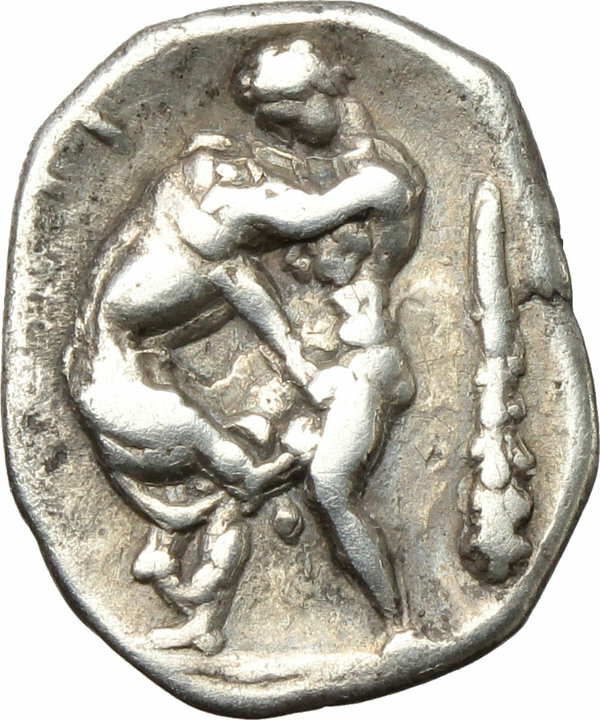 R/ Herakles left, strangling lion; at left, TIATI; at right, club. HN Italy 697. Weber 473. Garrucci XCII,5. Coll. Pozzi 396. AR. g. 1.02 mm. 12.00 RR. Very rare. Good metal. A perfectly centred and complete reverse. VF/Good VF. Ex Artemide Aste XLI, lot 15.